There is nothing more relaxing during cold winter days or nights, than wrapping yourself with a blanket in front of a fireplace and sipping on warm cider, hot chocolate or enjoying your favorite food. Comfort foods give a boost of energy to your body and soul. We all crave comfort foods, especially during cold winter temperatures. During winter, your skin may become dry, dull looking and more difficult to keep moisturized. You may even have noticed no matter how much moisturizer you apply, your skin and lips still feel dry, flaky and cracked. There are foods that can comfort you and are good for your skin. Your skin can benefit from calming types of foods that will put a glow on your complexion. Besides a cup of hot chocolate, balance your diet with the following food choices to sooth your skin during winter months. It is rich in antioxidants because it contains betacyanin, the pigment that gives beetroot its color. Dermatologists agree antioxidants are extremely beneficial against aging by fighting harmful free radicals. Helps maintain elasticity of skin with lycopene. Carotenoids in beetroot help promote hair growth and to improve the quality and thickness of hair. It’s beneficial against radiation due to lignin content in beetroot. It acts as a natural detoxifier by helping to purify the blood. Contains folic acid, which is essential for normal tissue growth. Iron content of beetroot is excellent for fatigue. Garlic and ginger have anti-bacterial and anti-inflammatory properties that can help control acne and breakouts. Garlic is also excellent for nourishing hair follicles to help produce thick, healthy hair. Cinnamon is packed with antioxidants to help fight skin damage. For an easy boost, add half a teaspoon to your coffee grounds prior to brewing. Add a cinnamon stick to warm apple cider to help increase circulation and bring a glow to your skin. Fennel has a slight licorice flavor and is said to decrease redness. Turmeric has the active ingredient curcumin, which has been shown to have antioxidant properties. 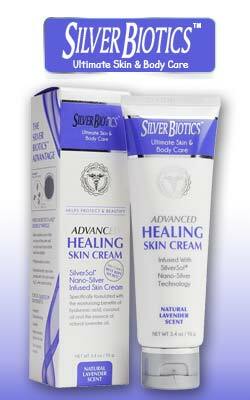 It can help repair and reduce blemishes. The anti-inflammatory benefits of turmeric have been known for thousands of years in India. With its high concentration of the antioxidant curcumin, research shows it also helps fight some cancers, such as, melanoma. Cumin is rich in vitamin C and E, which are essential for healthy skin and to help prevent premature aging. Cumin enhances flavor in any dish with just a dash. Green tea has a high concentration of catechins. Catechins have anti-inflammatory, antioxidant and anti-aging properties. Some say drinking green tea also helps support weight loss. Paprika and cayenne can help defend your skin against aging with Vitamins A and C to fight free radicals, and prevent breakdown of skin’s collagen. Cayenne pepper is an important spice. Cajun and Creole cooking use it often, as do foods from countries such as Southeast Asia, China, Southern Italy and Mexico. Psoriasis is helped with cayenne by reducing itching and inflammation. For eczema, steam broccoli and add some almond slivers on it. Delicious and your skin will love it. Sauté zucchini and add a few chopped up walnuts to it for zest. Zucchini nourishes your skin with vitamin C, helping to keep your skin hydrated and youthful. Add lots of tomatoes to your salad to help protect skin from free radicals and harmful UV-rays. It also acts as a natural moisturizer by keeping your skin hydrated. Tomatoes can help prevent acne and pimples and help reduce skin pigmentation. They are rich in vitamin C, E and B complex. Tomatoes are also rich in selenium, which is another powerful antioxidant. Sweet potatoes are rich in antioxidants, which protect your skin from free radicals. Free radicals are harmful towards premature aging and wrinkles. Sweet potatoes are also rich in beta-carotene and vitamin A. To sooth your skin, make avocados a regular part of your diet. They contain powerful antioxidant vitamin E to help deactivate free radicals and quicken healing of sunburns, and decrease inflammation of skin. 4. Go Nuts With Dry Fruits And Seeds Like Walnuts, Almonds, Pumpkin Seeds, Cashews, Hazelnuts And Flaxseeds. Nuts contain natural oils and omega 3 fats, and are rich in vitamin E to help you look younger. However, limit how much you eat, since they are high in calories. 5. According To The Food Pyramid Of 2014, You Are To Eat A Variety Of Fruits Daily With Two Servings. Blueberries added to cereals, yogurt or eaten raw can help protect your skin from premature aging. They are low glycemic and are full of anti-oxidants. Papaya is rich in antioxidants. It also includes lutein, which is important for skin cell development and healthy skin tone. Kiwi, blueberries, and strawberries help produce collagen that strengthen capillaries that supply the skin. Enjoy a whole grain blueberry muffin with your morning coffee or as an afternoon break. Fiber from whole grains along with the blueberries makes for a delicious snack as well as a balanced diet. Besides what you eat, how you take care of your skin is very important. Always use skin care products that are formulated free of parabens, fragrance and harsh irritating ingredients to bring about the healthy, beautiful skin you deserve.